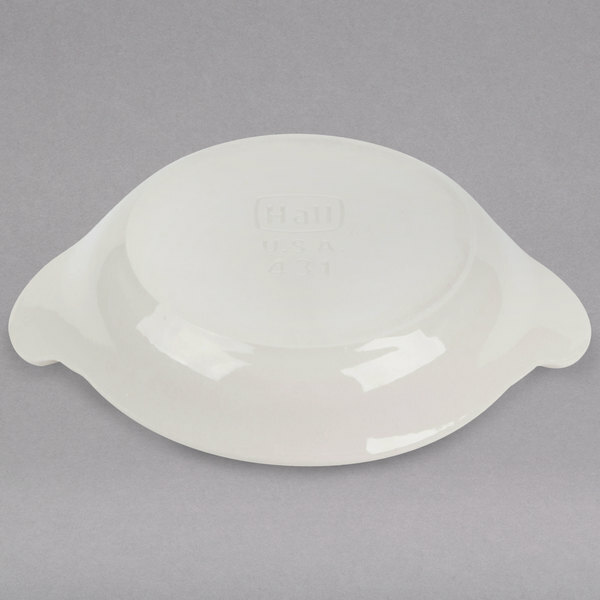 Serve your thick, creamy sides in the Hall China 4310AWHA ivory (american white) 5 oz. 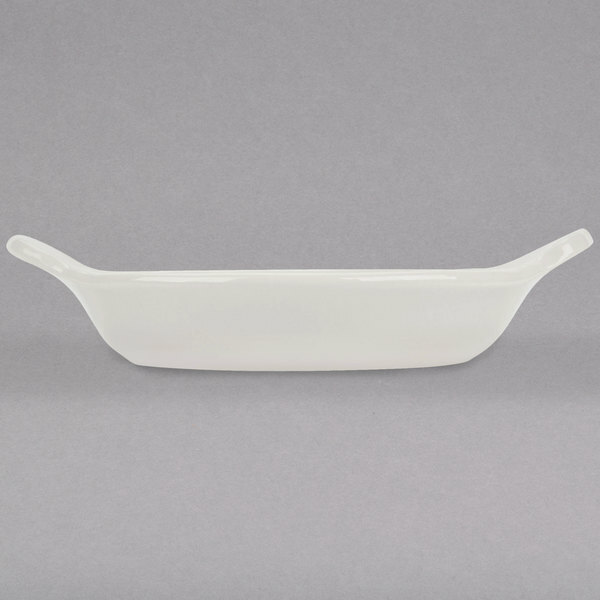 au gratin baking dish. 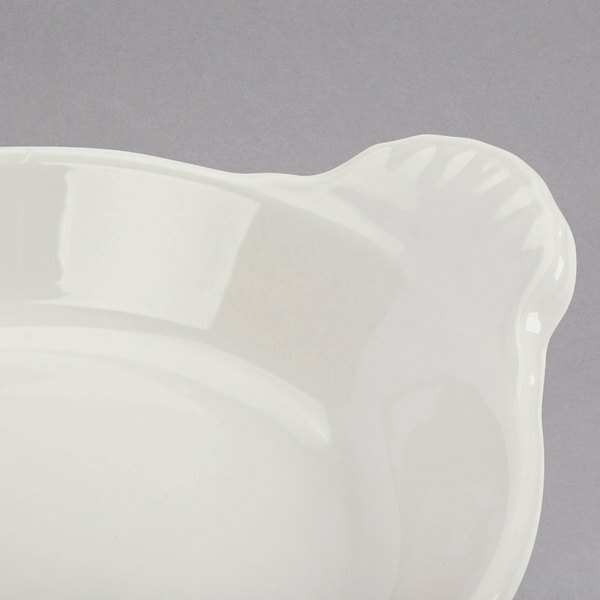 It features a shallow oval shape and decorative extended ribbed sides for added visual interest. 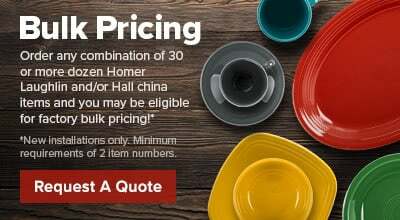 Each Hall China 4310AWHA 5 oz. 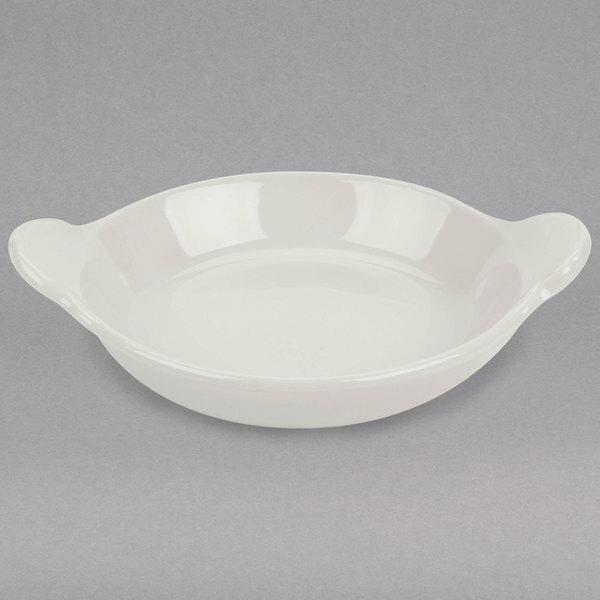 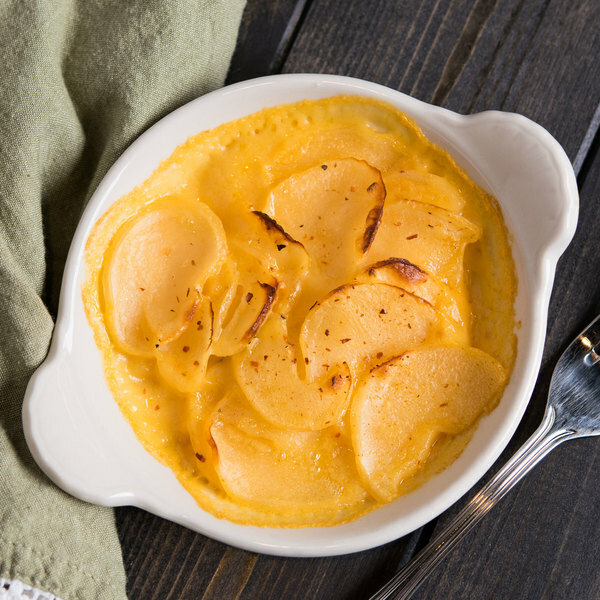 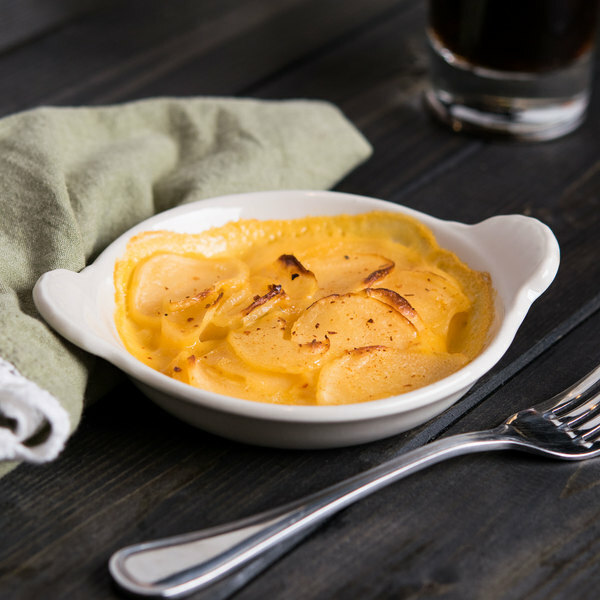 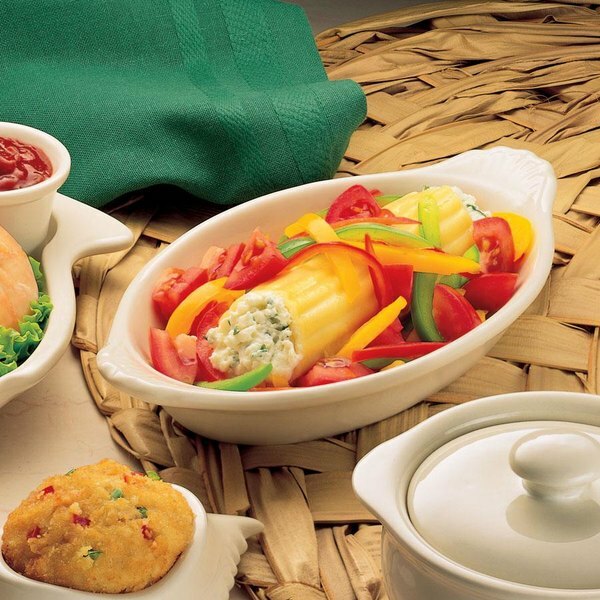 au gratin dish is designed to provide the best heat and cold retention available.